The stickers are 2 for $1. 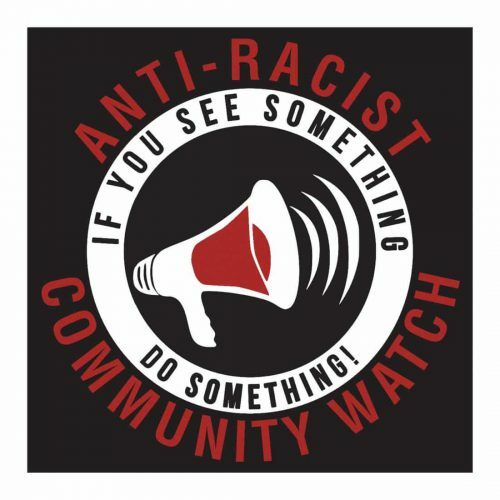 Anti-Racist Community Watch sticker with black background and white edge. Union printed! You can also download the image and print your own. 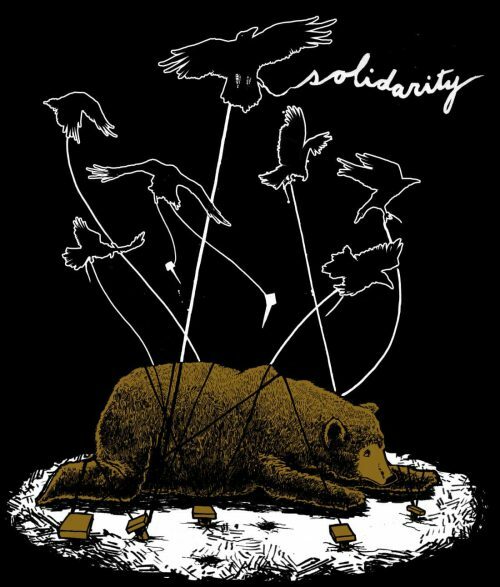 Click here to download: Anti-Racist Neighborhood Sticker We didn't create the sticker/image but we have permission to share it as widely as possible. 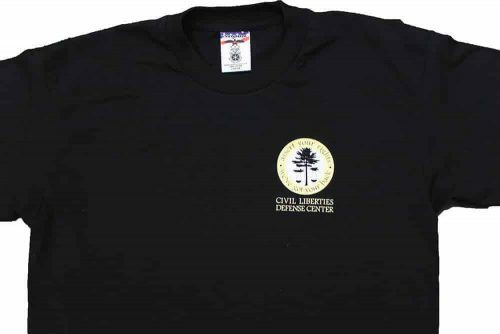 The stickers are 4"x4"
Proceeds from the sale of these t-shirts help support our activist defense programs. 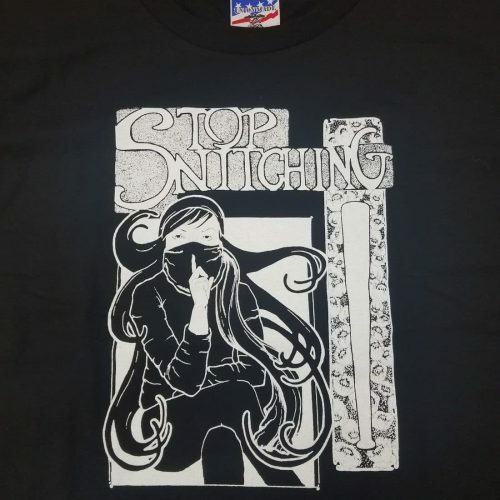 Printed on union made shirts! 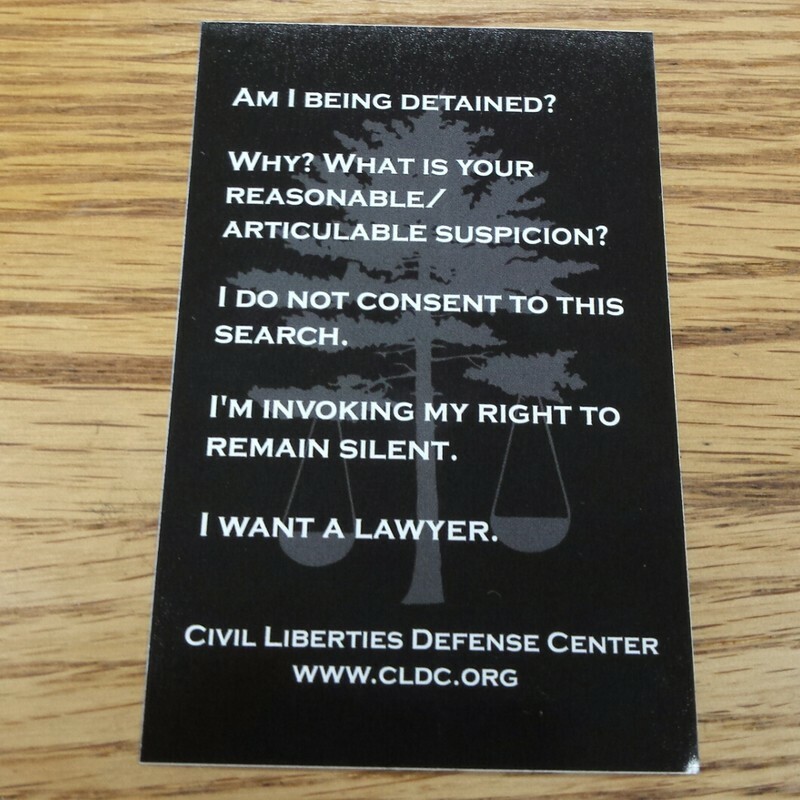 Show your support for the CLDC with a CLDC sticker! 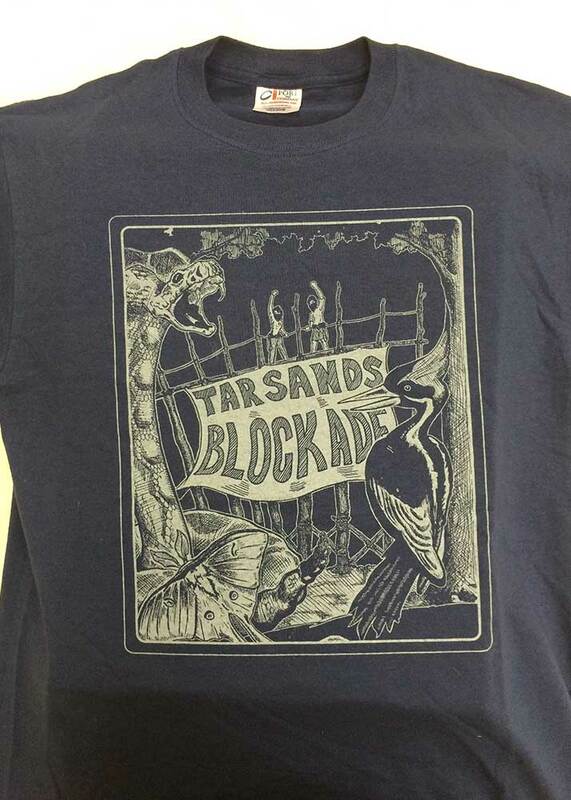 Proceeds from the sale of these t-shirts help support our activist defense programs. 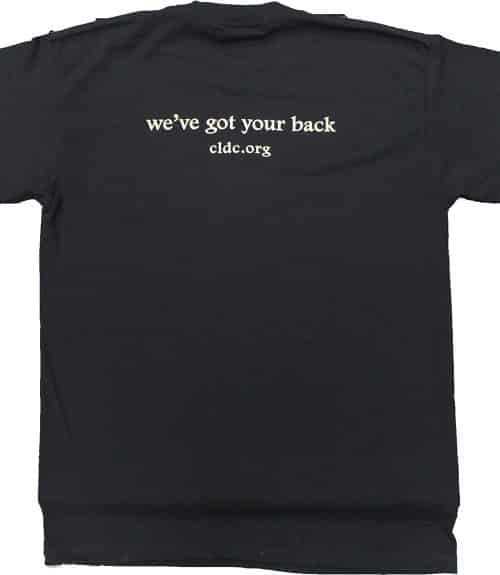 Comes in a variety of colors and sizes.